Jury selects designs for plaque honoring Capitol builders | Who Built Our Capitol? ST. PAUL - After more than a hundred years, the workers who built the Capitol, including six who were killed in the construction, will be honored in the statehouse. 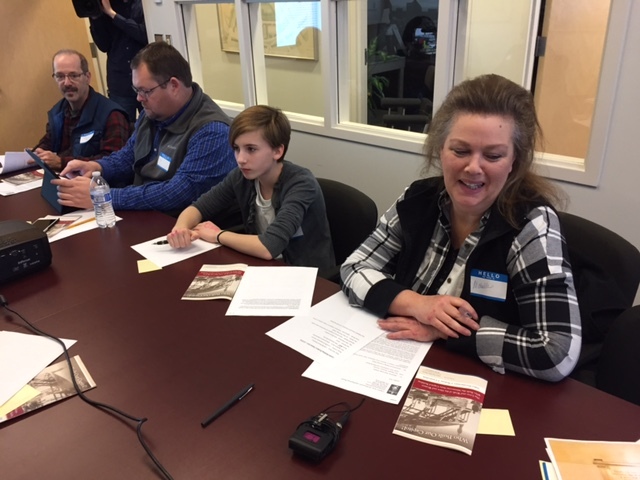 On December 15, 2016, a jury met to select designs for a commemorative plaque from more than 50 entries submitted by sixth graders across the state. The creators of the two designs which will be used to create the memorial will be announced the week of December 19, 2016. A bipartisan bill, passed by the 2016 legislature, mandated the competition to create a memorial to honor all of the workers who built and restored what is considered to be one of the most beautiful and architecturally significant statehouse in the country. The campaign for the workers' commemoration was inspired by the Who Built Our Capitol curriculum, documentary and website.